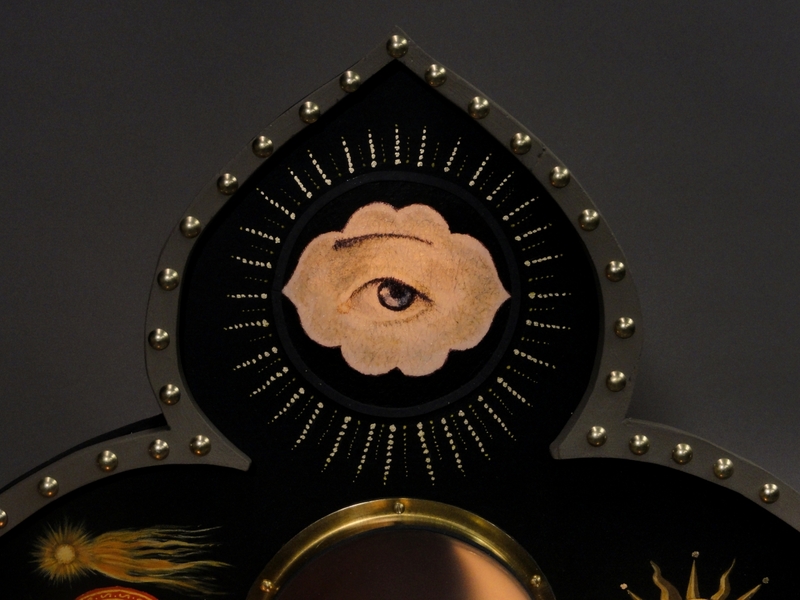 Hand painted imagery in gouache and dyes: Back lit All Seeing Eye from 19th century masonic lodge and Persian images. Electric flame candles. Hand carved mahogany. Brass and hand made tassels.